The Dong Ding Oolong is a very popular tea in Taiwan. I think it is not too much to say that Dong Ding oolong represents the Taiwan tea. If you have ever travelled in Taiwan, you may run into the Dong Ding oolong everywhere. 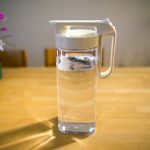 The same product name has different prices, and some of them are baked and some of them are the non-baked type that gives a clear and refreshing flavour. 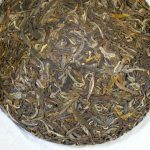 I often met people who told me that the genuine Dong Ding oolong is supposed to be a baked tea. They claimed that the unique baking method is the identity of the Dong Ding oolong. Of course this is not true. 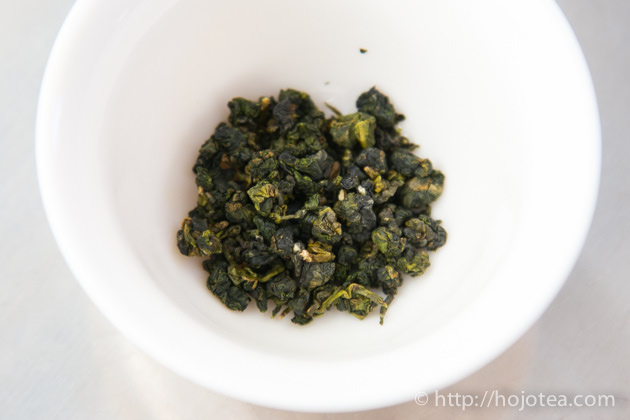 I would like to share how to identify the authentic Dong Ding oolong instead of identify it by the baking. 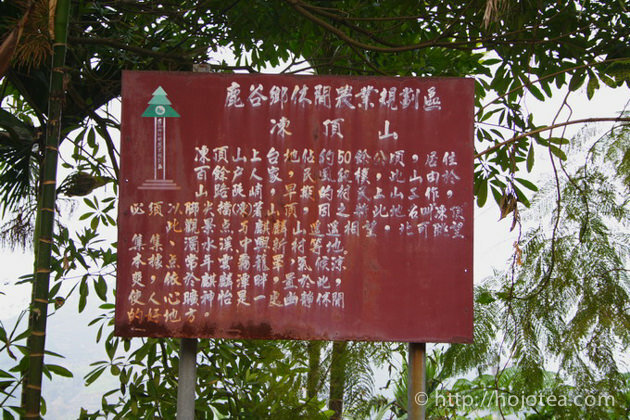 The authentic Dong Ding oolong comes from a village called Lugu (鹿谷) in Nantou County of Taiwan. 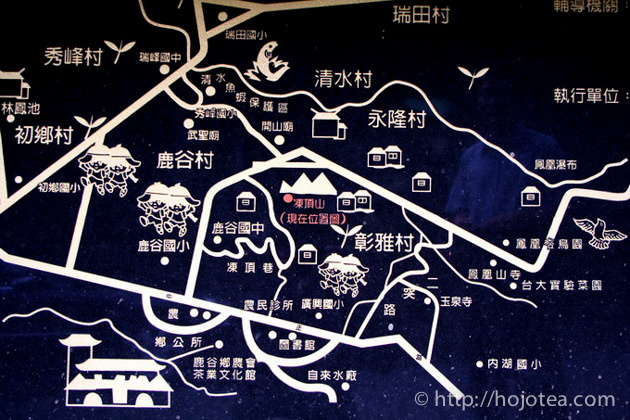 Lugu is a village where the Dong Ding Mountain is located. 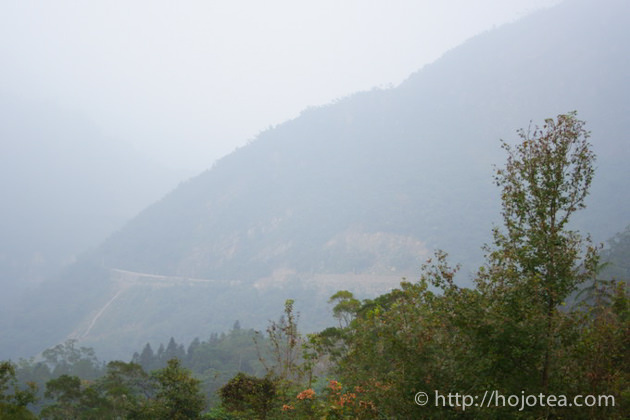 The altitude of the Dong Ding Mountain is lower than other famous tea growing areas in Taiwan like Ali Shan or Li Shan. 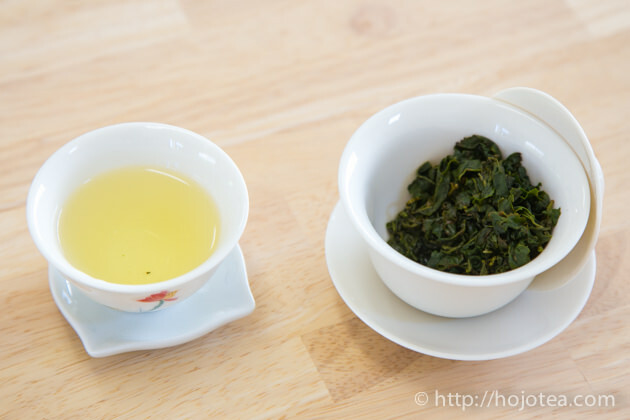 However, in judging the quality of tea, altitude is not an important indicator; if one knows how to appreciate the Dong Ding Oolong. 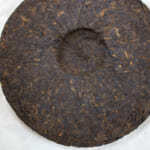 In fact, the only identity of the Dong Ding oolong is the body. Dong Ding oolong gives a much fuller body. The body of tea means the width, boldness and richness in both taste and flavour. If the tea has a strong body, you may feel the fullness of flavour that spread widely on your palate and its sweetness lingers in your mouth for a long time. You may think that the body of tea does not sound easy to understand. The tea that gives strong body tends to be very rich in flavour. Many people often prefer the tea that gives full body. 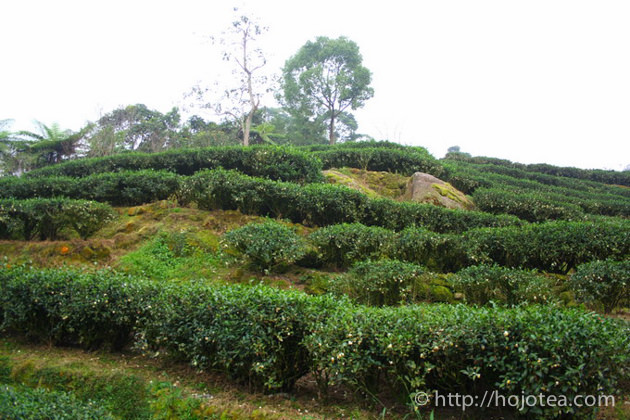 In fact, there are a number of teas produced in the famous tea production areas in China tend to give strong body. The stronger the body, the higher the selling price would be. 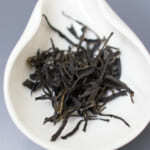 For example: Junshan Yinzhen, Lao Bang Zhang, Yiwu, Bu Lang Shan and Xi Gui. The strength of the body derives from the soil composition. Based on my observation, the body is affected by the calcium and some other mineral component. For example, if you cook any soup with sea shell, the body of the soup becomes very strong. If you cook the same soup only with the flesh of the clam, the taste becomes so much lighter in terms of body. 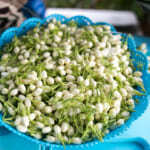 Besides, fruits that planted in the calcium-rich soil give very strong body too. The Dong Ding Mountain is not a very high mountain. But the magical soil of the Dong Ding Mountain makes tea very rich in body. If the soil is special, not only tea but also other vegetable and fruit that are produced in Dong Ding Mountain also gives strong body. 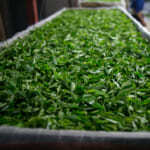 In fact, water collected from the foot of Dong Ding Mountain gives strong body, and with this water any tea brewed will be extraordinarily rich in body. Besides body, after taste is also an important element in quality judgement. 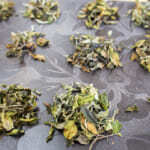 However, the intensity of after taste varies a lot depending on how the tea is produced. 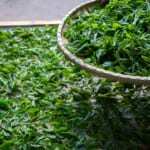 If tea is grown by natural farming method, the after taste becomes stronger. On the other hand, the after taste becomes weaker if tea is grown with a lot of fertilizer. In a way, the intensity of after taste is not related to the origin of tea, but it is related with the tea growing method. Therefore, it is fruitless if one is trying to identify Dong Ding Oolong with reference to the intensity of after taste. 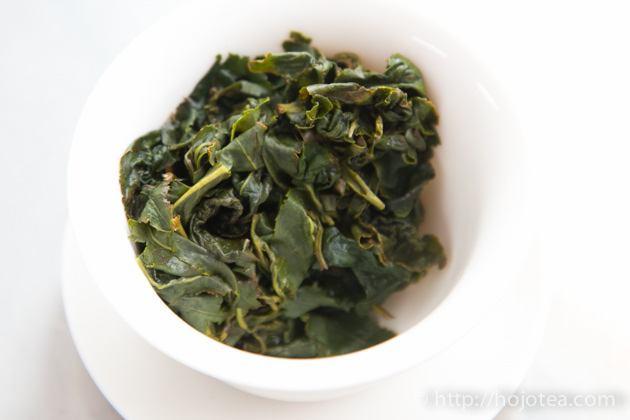 The authentic Dong Ding Oolong refers to the tea grown at Dong Ding Mountain. We can easily tell since the Dong Ding Oolong gives very strong body. With some practice, we can tell the body of tea by smelling the dry tea leaves and it is not necessary to brew it for tasting. In a way, we can identify Dong Ding Oolong if we smell the tea leaves. 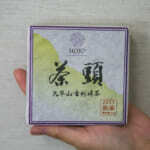 Now it is very easy to find the tea by the name of Dong Ding Oolong both in Taiwan and in overseas. However, the authentic Dong Ding oolong is extremely limited. I assumed that the genuine Dong Ding oolong could be less than 10%. Dong Ding Oolong from Lugu is expensive and rare. However, the drinking feeling of the genuine Dong Ding Oolong is very rich and unforgettable. 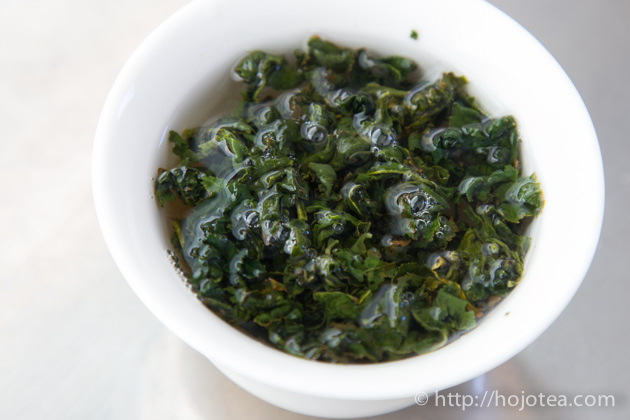 What is “Lao Cong” Phoenix Dong Cong Oolong?